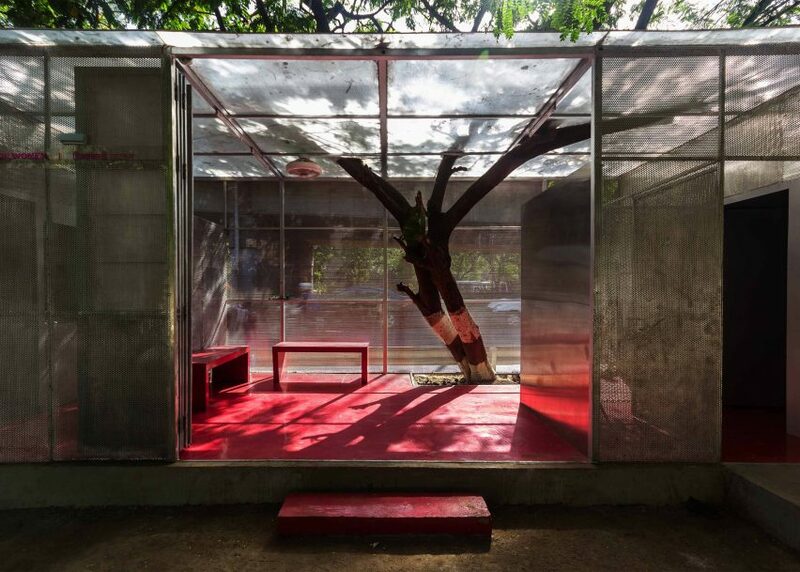 These public toilets by architect Rohan Chavan are built around an old tree in the Indian city Thane, and include a hot-pink sitting area where women can socialise (+ slideshow). 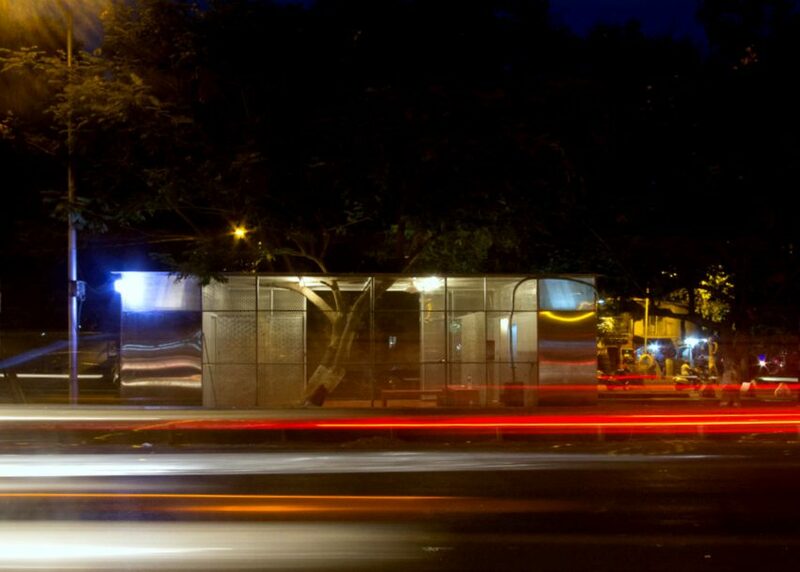 The three-by-nine-metre toilet block by Mumbai-based Chavan is named The Light Box – Restroom for Women. 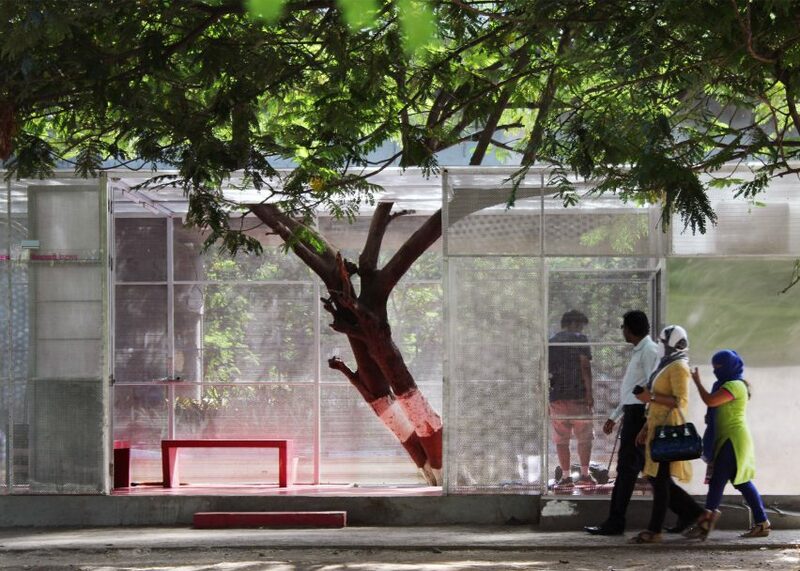 It contains four female-only toilets arranged around the trunk of a tree, whose branches protrude through a transparent roof. This central area is designed as a place to rest in the shade of the tree's branches and to socialise with other women. 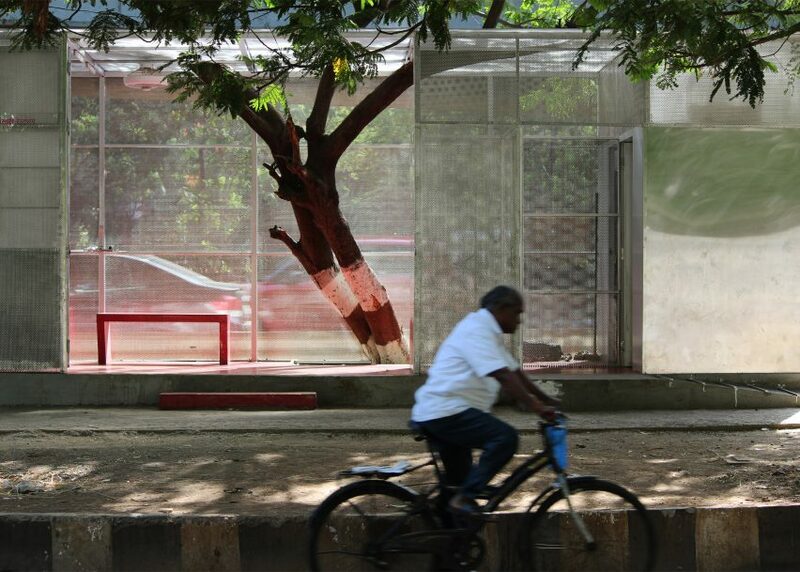 "Public spaces in a city are important [places] where people meet and interact," said Chavan. "It is a place of mental interaction where new ideas are born." "As architects and planners we look at cities as buildings and streets, but cities are about people and events," he added. "A history of a city is not the way it looks but what happens there; what happens there are the places where people meet." 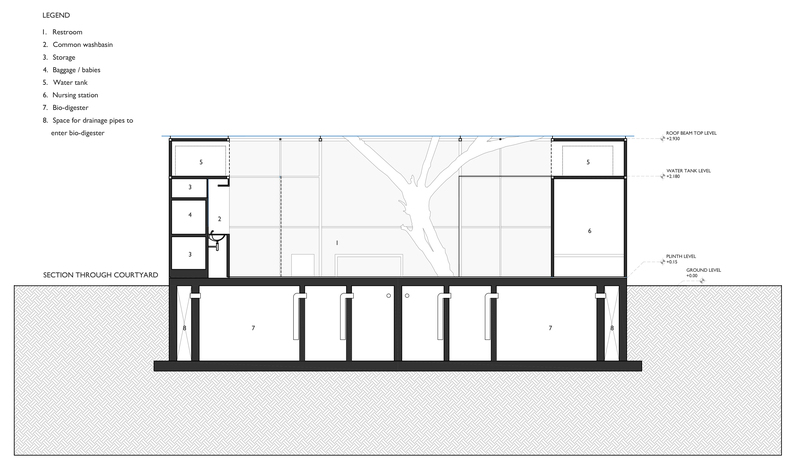 It is hoped this socialising area will become a place for informal exhibitions and festivities, as well as lectures and education campaigns. 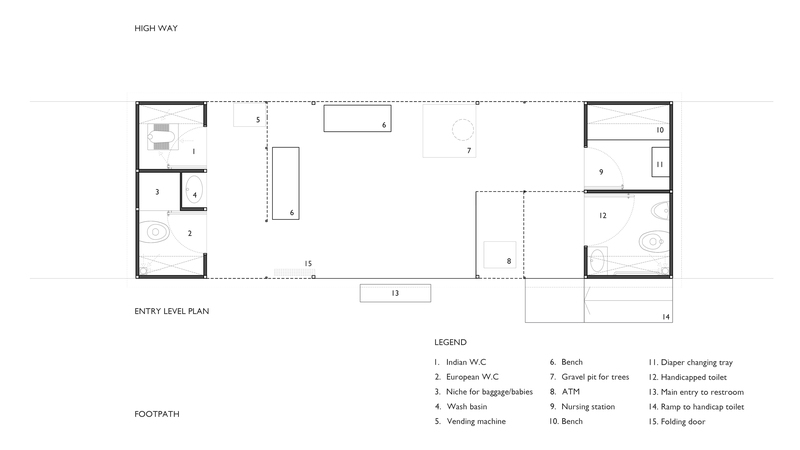 The space also includes vending machine for female hygiene products, as well as mobile phone charging points, a panic alarm system and room for the future inclusion of a cash machine. 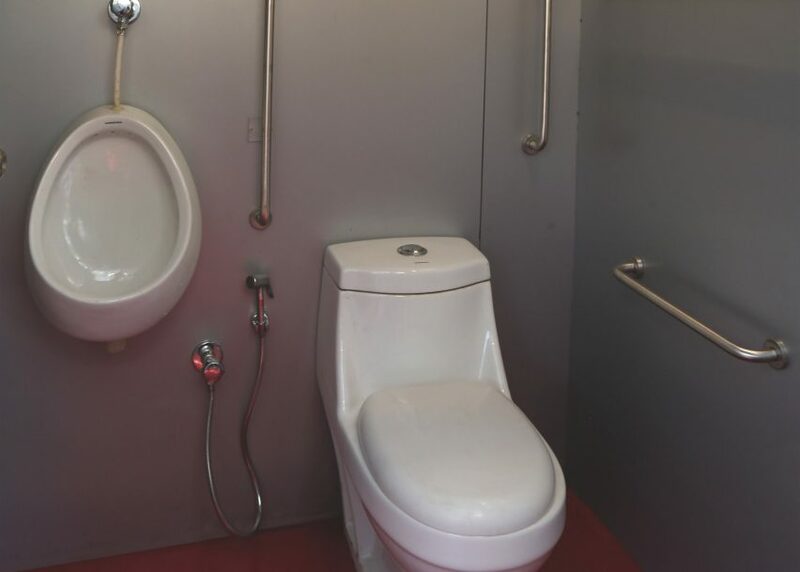 The project was commissioned by Agasti, an organisation set up to improve access to public toilets in urban areas of India. 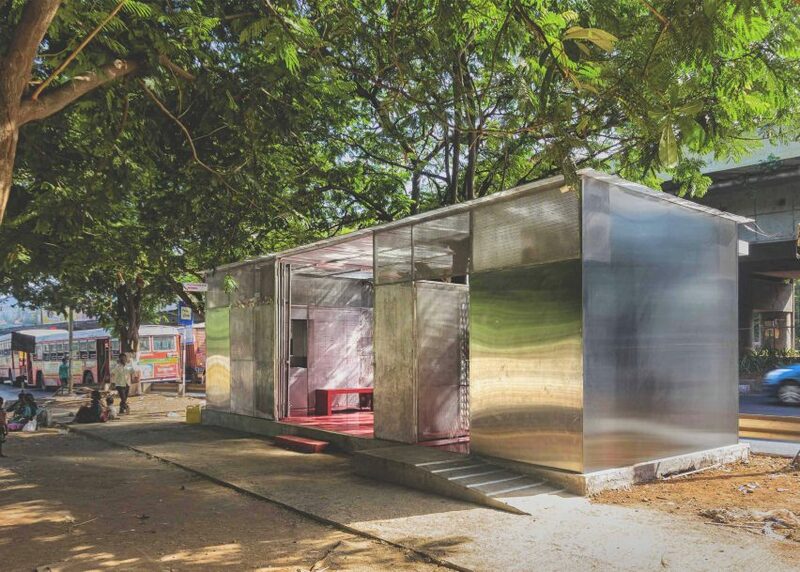 "Beyond the obvious toilet blocks, the restrooms aim to provide women an exclusive social space, something that is atypical of urban landscape in India," said Agasti founder Sahej Mantri. 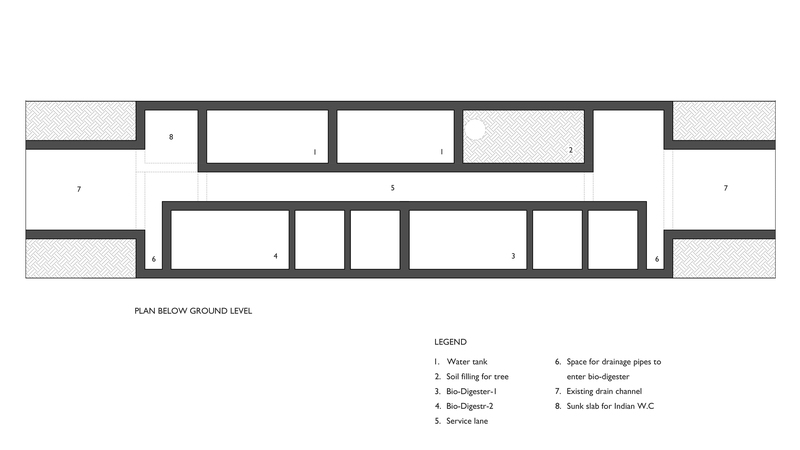 "Providing a safe environment for women was as important as providing hygienic toilets," he added, explaining that the restroom would be CCTV monitored and patrolled by a security guard. The roof of the block is made from polycarbonate sheets that allow natural light to filter into the structure – lending the project its name – and the floor is covered in hot-pink polyurethane. 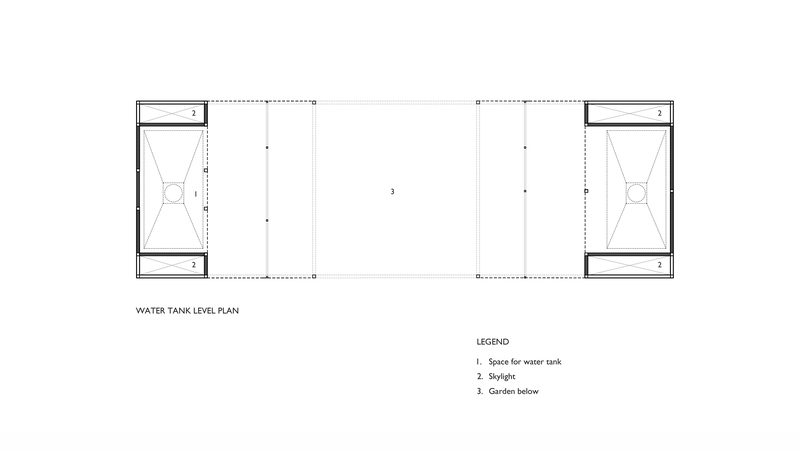 Two stalls are located at one end of the building alongside a washbasin, while a nursing room and a toilet for disabled people or seniors is placed at the other. The ceramic toilets are fitted with biodigesters to reduced the need for fresh flushing water. 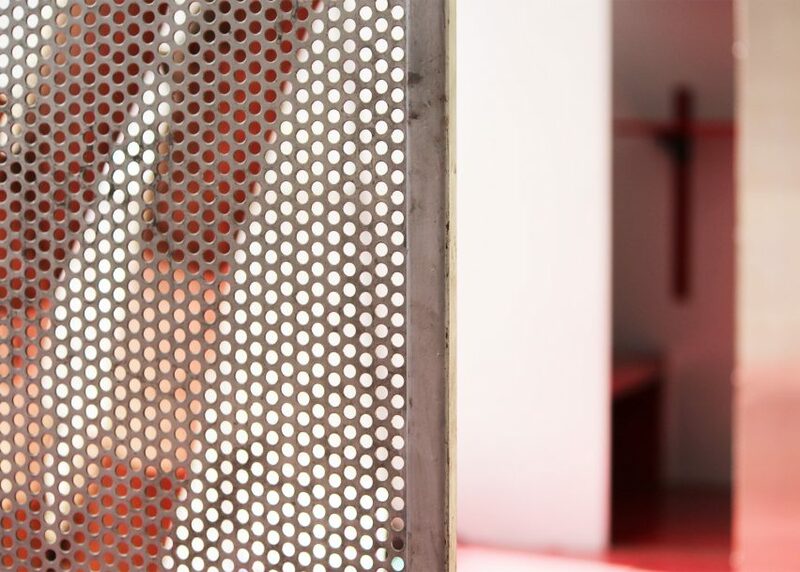 Internal partitions are formed from sheets of aluminium and stainless steel, while the outer walls are made from perforated steel to allow ventilation and provide a climbing frame for trailing planting.